integrates sachet making, filling, sealing and coding through its form fill seal machines. These form fill seal machine is incorporated with advanced technical features to ensure trouble free performance. The Machine operate on the principle of Volumetric syringe systems with a provision of volume adjustment. This machine can be packed liquid items such as Shampoo, Tomato Ketchup, 2T Oil, Syrup Hair Oil etc. 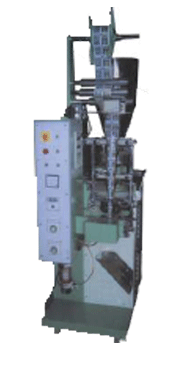 We have earned the tag of most reliable Automatic Pouch Packing Machine Manufacturer and Supplier in India. Fully automatic Compact and Robust machine. Simple Operation, No Technician required. All parts in contact with product made of Stainless Steel. All parts in contact with product made of Stainfess Steel.